Venicci will present its newest collection at Harrogate – Asti – and here’s a taster of what to expect. 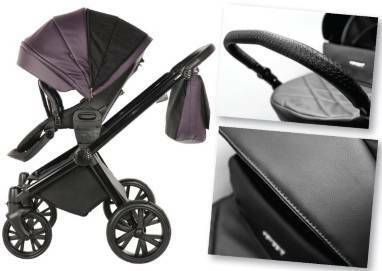 Incorporating design and visual impact with technology, the Asti range is a modern travel collection which includes a 3-in-1 travel system, with the ability to convert from a lie flat pram, to a pushchair to a travel system (with the addition of an infant car seat). One of the main details is the braided handle offering a sophisticated look, making it outstanding, stylish and beautiful. The Venicci team would like to thank its clients for enabling it to achieve its goals last year and in celebration invites everyone to its stand to celebrate with live music, cocktails and appetisers on Monday 25th March from 5.30pm to 8.00pm. This wonderful Koala In-Car Play Centre from Taf Toys is the perfect travel partner for keeping little ones entertained in a rear-facing car seat. Featuring a curved baby-safe mirror for parents to see little ones in the back seat, as well as three soft, loveable hanging toys; a crinkling rainbow, a rattling Kimmy Koala and a chime bell Scotty Snail with added teether. The mirror can be detached and used separately from the car toy and each is easy to attach and adjust for baby’s comfort. 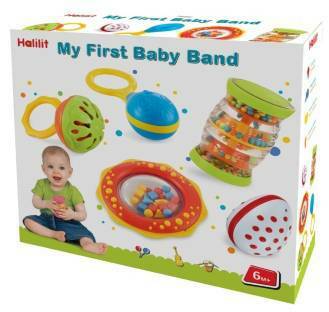 Both parent and baby will be kept wonderfully calm with this fabulous creation from Taf Toys. Fashionable children’s clothing from birth to toddlers is the speciality of Blues Babywear which is a leading supplier to many distributors and high street stores throughout the UK and Europe. The company’s garments are created by its own team of British designers, influenced by global fashion trends and offering a ‘British’ feel to each quality collection. Amawrap is one of the UK’s leading sling companies and its 100% cotton products mean that they are not only supportive but luxuriously soft. Parents and babies love the closeness and bonding opportunities that the wrap provides and parents cherish the fact that they are able to get on with life, knowing their babies are safe and close.